These past few weeks, the evening news has been bombarding us nightly with incident after incident of Sudden Unintended Acceleration or SUA by the unfortunate Mitsubishi Montero. To neutrals like me, the most annoying aspect of these reports will likely be the doggedness of Mitsubishi spokespersons in insisting that there is nothing wrong with the product even as the sheer number of reported incidents appears to indicate that something is indeed terribly wrong. 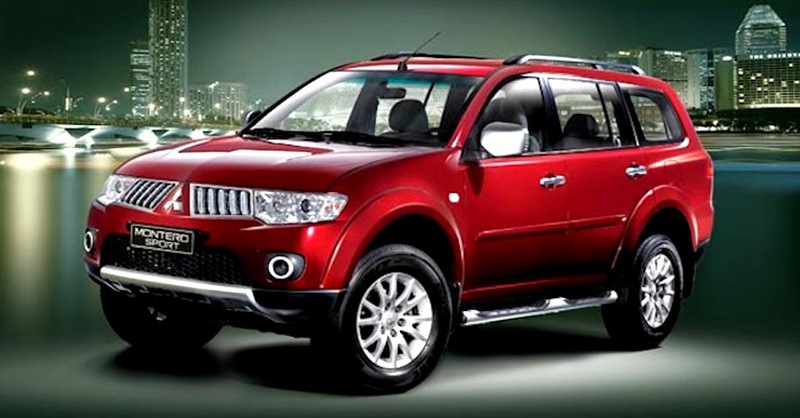 Although Mitsubishi is currently in the hot seat in this country for SUA, in fact it was Toyota which was investigated in the United States for the same thing after a spate of incidents as early as 2009. For the record, Toyota was cleared by the US National Highway Traffic Safety Administration for its electronic throttle system. However, SUA as a phenomenon has refused to go away and appears to be a direct consequence of the increasing computerisation of modern automobiles. In an article published in 2012 by the online edition of the Philippine Daily Inquirer, engineering consultant Dr. Antony Anderson was cited to have named two possibilities for sudden acceleration. These are a) driver error, i.e. inadvertently stepping on the accelerator pedal; and b) an electronic system malfunction. In the same article, Anderson was cited to have argued that electronic malfunctions do not necessarily leave behind evidences for investigative sleuths to find and that these malfunctions may not be easily reproduced “on demand.” This probably explains the hard-line stance of Mitsubishi spokespersons because testing under controlled circumstances do not replicate the SUA as reported by owners. It goes without saying that driver error has got to be responsible for some of the reported cases of SUA. However, this article will focus instead of the second possibility – i.e. electronic malfunction – and its possible permutations. Because modern automobiles are becoming increasingly dependent on computer technology, implicitly these automobiles are dependent on the programmers who wrote the code that help to operate them. Now here is an open secret known to all programmers: there is no such thing as a perfect computer program. Given how Mitsubishi spokespersons have steadfastly stood behind their product and how the SUA seemingly happens as though “on a whim” with the Montero, discounting software glitches, something else has been bugging – no pun intended – me regarding the reported incidents. One woman described the experience of an SUA as though the car was possessed by something evil. I will be the first to admit that this line of thinking is probably a long shot; but what if the car indeed was? Not by something evil but by something or someone remote and malicious. In other words, what if she was actually reporting a case of car hacking – that is modern jargon for hacking the computer systems of modern automobiles? I cannot find any documentation over the Internet that equates SUA with car hacking. However, what is hair-raising is that car hacking has jumped from the pages of science fiction into reality at all. According to the same editorial, many modern cars have IP addresses. Thus, network security, something network administrators labour over on a daily basis in server farms the world over, becomes a very tangible concern with regards modern automobiles. Larry Greenmeier, writing in the Scientific American, says, “…that both carmakers and the U.S. government can no longer dismiss car hacking as purely hypothetical.” This was in response to a video released by two security researchers who showed how the Fiat Chrysler Jeep could be taken over remotely, forcing the company to recall purchased Jeeps for a security patch. Be cautious about after-market devices. After-market car systems may not be as rigorously tested or designed, opening you to vulnerabilities.